This whimsical floral design creates a rustic and romantic vibe at the same time. 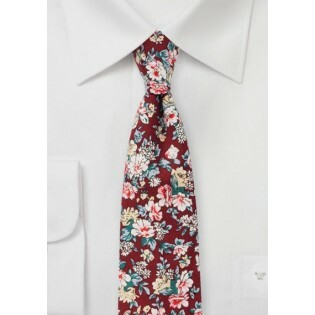 It makes for a great choice tie to wear to a friend's wedding for instance. 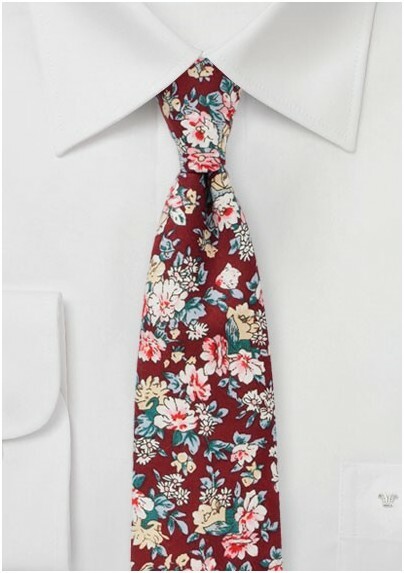 While it can be worn with almost any suit color, we suggest this tie with a dark navy 3-piece suit, whit shirt, and a white and burgundy linen pocket square. Handmade from finest printed cotton by neckwear brand BlackBird.